Opening command prompt as admin gives you the power to run commands which require administrator privilege. It is also known as elevated command prompt. 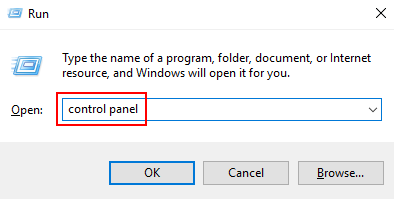 So, lets discuss methods of opening command prompt with admin rights. 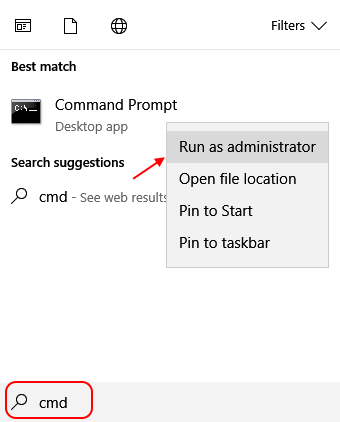 Step 1 – Search CMD in windows 10 taskbar search. Step 2 – Once the search result appears, just right click on command prompt icon. Step 3 – Now, click on run as administrator. you can just press CTRL + Shift +Enter to open the command prompt as administrator directly. Step 1 – Press windows key + X from the keyboard. 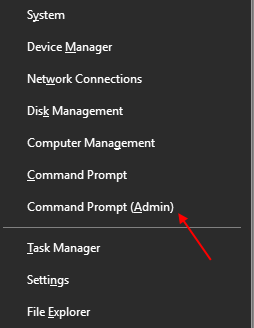 Step 2 -Now, click on Command prompt (admin) to pen command prompt as admin. 1 – Press windows logo key and R together to open RUN. 2 – Now, write Control panel in it. 3 – Press CTRL + Shift + Enter together to open Command prompt as administrator.